The short of it was, we had cured meats left over from a friend's party the evening before, we had some asparagus just purchased from a local farmer's market, so what to do? I found this recipe online at the AllRecipes website and added a twist of my own to it. 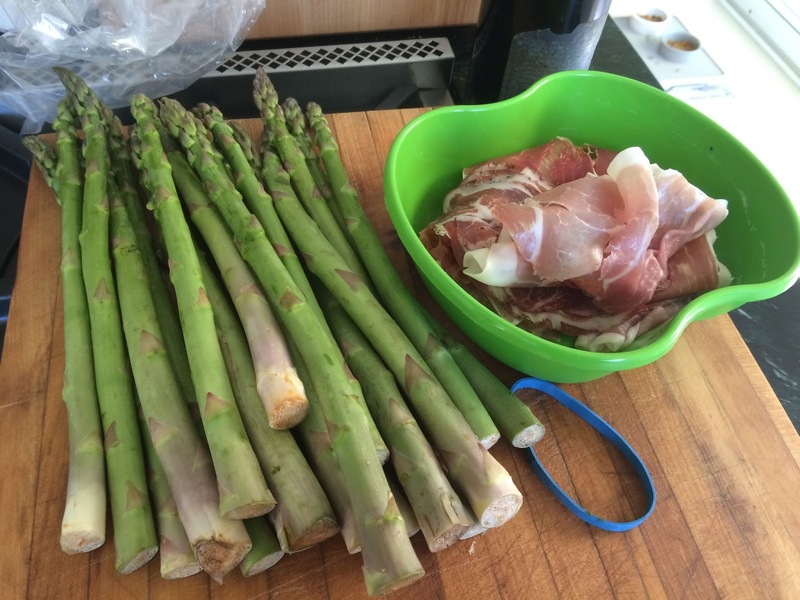 Although the recipe calls for prosciutto, we used what we had: prosciutto, Serrano ham, and coppa. 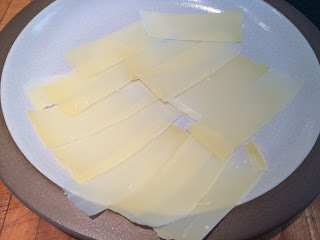 Provolone or pecorino romano would work well but this was Gruyere. Preheat oven to 450°F for roasting. Prepare and trim the asparagus. 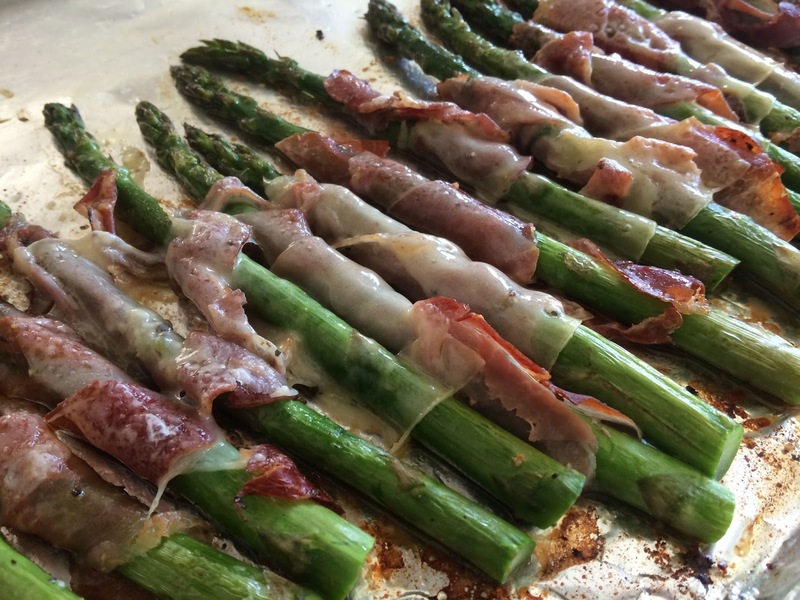 Wrap a slice of prosciutto around each spear and lay out on a shallow baking pan wrapped in foil. Season with salt and pepper and drizzle the olive oil on top, rolling each wrapped spear to distribute the seasoning and oil. Place the pan in the heated oven for 5 minutes. 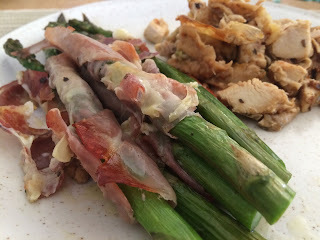 Remove the pan to turn over the asparagus for even roasting and return to the oven for another 5 minutes. Remove the pan again and drape the cheese slices over the top. Return to the oven, turn off the heat and allow a few minutes for the cheese to melt slightly. Remove from oven and drizzle a little more olive oil on top. Serve warm.